Practicing a lifestyle of holistic wellness includes more than eating right and working out. It also includes making time for yourself and doing what you love. Spending your down time on your favorite hobbies benefits your overall wellbeing in many ways. According to a 2015 study, engaging in leisure activities was defined as “self-selected, self-rewarding behavioral pursuits that take place during non-work time.” Participants in this study who engaged in leisure activities were found to be happier, less bored, less stressed, and had lower heart rates. 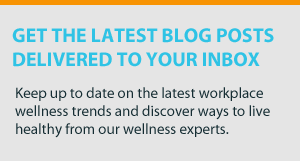 Leisure activities were also implied to be a great way to increase productivity and job performance, as they help boost creativity and give your brain a much-needed break. Dancing. This pastime has been shown to promote heart health, strengthen bones, and manage a healthy weight. Not only is dancing wonderful exercise, but it’s a lot of fun too! There are many different types of dancing, from hip-hop to ballroom. Taking some dancing classes will help you discover which type of dancing suits you the best, plus you’ll meet some new friends too! Cooking. Learning to cook nutritious meals is great for your health and financial health. Cooking healthy meals at home saves you money in the long-run, and it’s a great way to bond with your family as well. Volunteering. Having a presence in your community is great for your emotional and social health. Volunteering can help keep you physically and mentally active. Giving back will also give you a sense of purpose and fulfillment. Gardening. There are many unexpected health benefits of gardening. Getting your hands dirty has been shown to decrease stress and promote self-esteem. It’s also a great way to get in some physical activity while it improves your hand strength and dexterity. Another perk of gardening? Beautiful flowers to decorate your home and delicious vegetables to add to your dinner! Owning a pet. Animals have been shown to improve wellbeing on both a physical and mental level. Owning a pet decreases the risk of depression, stress, and anxiety. On the physical side of things, owning a pet has been shown to lower blood pressure and help keep you active. Music. While music can be difficult to pick up after a certain age, it’s definitely not impossible. Playing an instrument is fantastic for boosting creativity and happiness. Music also improves visual and verbal skills and reduces depression and anxiety. Yoga. One of the best things about yoga is that it's beneficial for any age and any fitness level. Yoga increases physical strength, boosts energy, and promotes cardio and circulatory health. Yoga is also an excellent way to practice mindfulness, which will leave you less stressed and more productive. Walking. Regular brisk walking is incredible for weight management and your overall physical health. While walking may not sound like the ideal way to spend your free time, walking clubs and hiking make this healthy hobby and an enjoyable and versatile way to promote wellness. Traveling. Planning a trip and hitting the road is sincerely satisfying for anyone who loves to explore or try something new. Traveling and experiencing new cultures shifts your perspective and promotes self-discovery. It offers you a chance to meet and connect with people so you can learn and grow. Traveling will also keep you active and on your feet. Reading. Pick up a book! The mental benefits of reading are too good to pass up. Reading has been shown to increase mental stimulation, reduce stress, improve memory, and boost concentration. Not only is reading a good book fun and entertaining, it also produces a sense of tranquility and wellbeing. Writing. Journaling, blogging or even creative writing serves as an outlet for self-expression. Writing for leisure has been shown to reduce stress and improve sleep. If you chose to share your writing with the public, it’s also a great way to form connections with other people who have similar interests. The next time you feel bored or stressed out, skip spending time in front of a screen and pick up one of these healthy hobbies to make some significant improvements to your wellbeing. 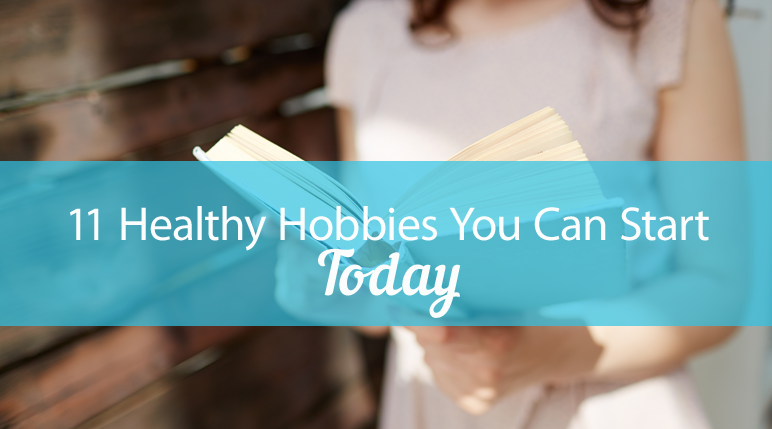 What are some of your favorite healthy hobbies? Let us know in the comments below!